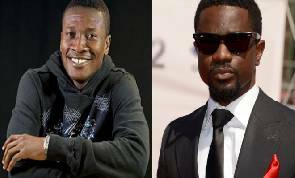 The New Africa: Is Sarkodie richer than Asamoah Gyan? There has been a constant debate as to who owns the cashland in Ghana here,is it the entertainer or the sportsman? Source takes a critical look at this argument by comparing arguably, the most expensive entertainer in the country currently and the most expensive sportsman on the continent at the moment, Sarkodie and Asamoah Gyan respectively. Who earns more? Let’s begin with black stars captain Asamoah Gyan. Following his deal with the U.A.E side Al Ain,Gyan earns $250,000 weekly before winning bonuses as well as appearance fee in various competitions which further boost his earnings. He could earn up to $60 million by the time his contract comes to an end with the U.A.E side in 2018. He also enjoys tax-free earnings in the U.A.E which means he will keep everything he earns without paying anything in tax. He currently lives in a $3 million mansion which he bought at McCarthy hill in Accra,he is said to be earning $16 million yearly and currently the most expensive player in Africa not to talk of Ghana. However,Sarkodie the most expensive entertainer in the country doesn’t have record his earnings weekly. According to Ghbase.com, Sarkodie performs in eight out of ten major events in the country and charges some ”crazy” amount of money per a show. Hold on, he is Samsung ambassador for Ghana, fan milk Ghana ambassador and also a brand ambassador for network giant Tigo, finally, he is the C.E.O of ”Sark Clothing”. Now you should see how much he was paid for all these deals. His contract figures are mostly undisclosed but it’s estimated that Sarkodie is worth $10 million. Forget about how much he charges per a feature with Ice Prince, Banky W among many other continental musicians plus our own home musicians. It’s obvious the guy is loaded but as to whether he beats Gyan, is a million dollar question.